I’m currently trying to install a SSL certificate on our company JIRA. According to the official documentation, it is possible to use the JIRA Configuration tool for it. It is pretty easy to start the JIRA Configuration tool, you just need to set a JAVA_HOME system variable and to Open a command prompt and run config.bat in the bin sub-directory of the JIRA Installation Directory. This is due to a common error in the batch script named check-java.bat, that doesn’t not support JAVA_HOME path containing spaces. 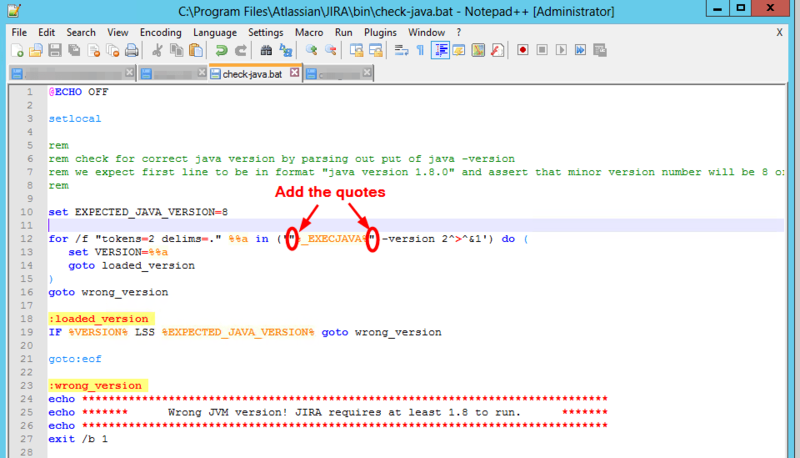 The quotes characters have been forgotten around the %_EXECJAVA% variable (this variable is set in the config.bat and point to %JAVA_HOME%\bin\java).